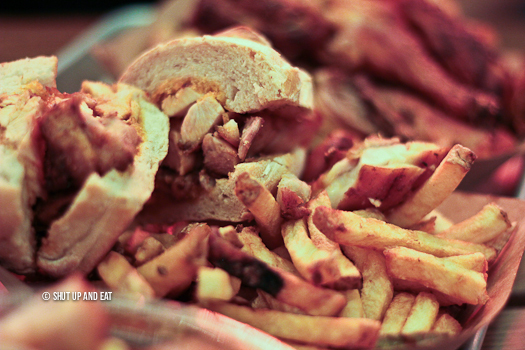 Portuguese Chicken Comfort Food - Campo - Shut up and eat. What do you consider a comfort food? What is comfort food? Comfort food is a food or dish that provides the eater a sense of nostalgia that he or she may hold a sentimental value for. Something that transports you back to a specific time and place and evokes warm fuzzy feels the moment it touches your lips. I was born and raised in Montreal. I was fortunate enough to be exposed to the vast variety of different kinds of food our multicultural city has to offer. Needless to say a lot of foods that hold a special place in my heart are bagels, steamies and poutine, pho, smoked meat and Portuguese chicken. I guess I developed an emotional attachment to the former through my CEGEP and University days. A quarter chicken combo box topped off with fries and extra spicy sauce and salad set you up for a relatively healthy meal for an affordable price. 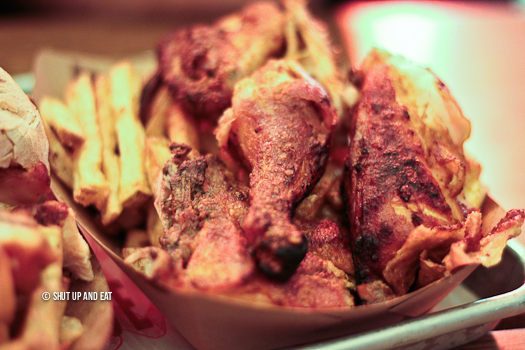 I recently visited Campo, a new spot serving Portuguese chicken bidding to tug at my heartstrings. 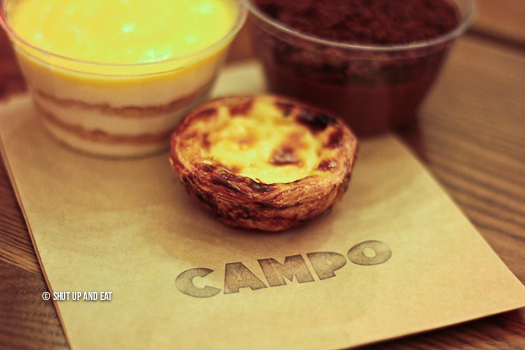 Owned by the same people who brought us the famous Ferreira Café, I checked out Campo (located in the Golden Square Mile) for some quintessential Portuguese chicken. 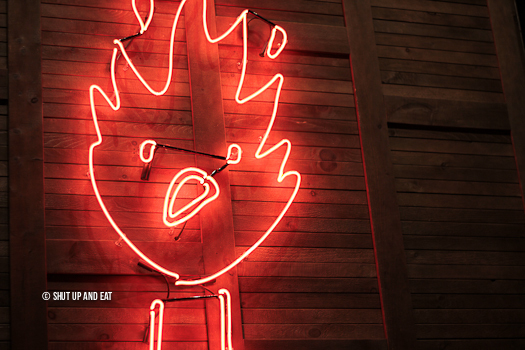 The menu is simple and straight forward: chicken, ribs, sandwiches and sides. What more can you really want? 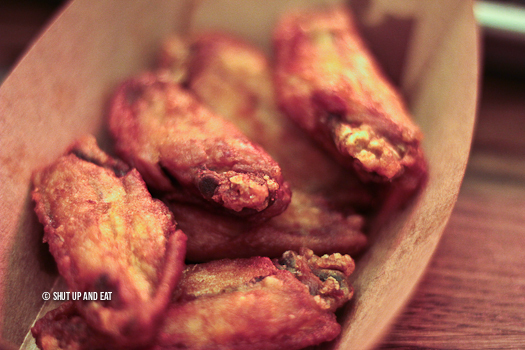 We started with the chicken wings. Bare wings devoid of sauce and any moisture. Parched with a light dusting of salt, if that. I’ve had better bar wings for less. The chicken salad featured pieces of grilled chicken on top of chopped iceberg with a side of vinaigrette. The chicken was juicy and had nice flavour. 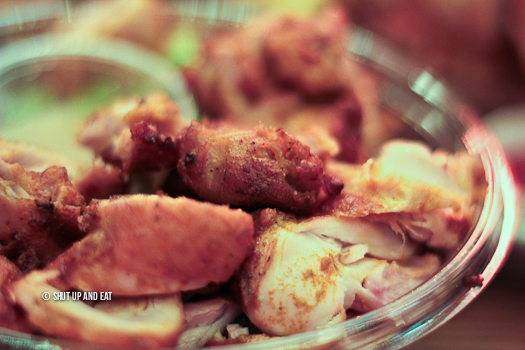 Contrasting temperatures of the warm chicken and cool crisp lettuce made each mouthful refreshing and enjoyable. The chicken. This is what we came here for. I’ve had Portuguese chicken at most of the spots and usual suspects around Montreal so I was pretty excited to try this place. *Sigh* I was pumped, maybe I psyched myself out or set the bar to high, but the chicken fell short for me. Each bite was smokey and flavourful but the meat was dryer than a summer day in the Serengeti. I couldn’t help but notice at first sight how emaciated the chicken looked. The skin looked crispy and tantalizing, deceiving. 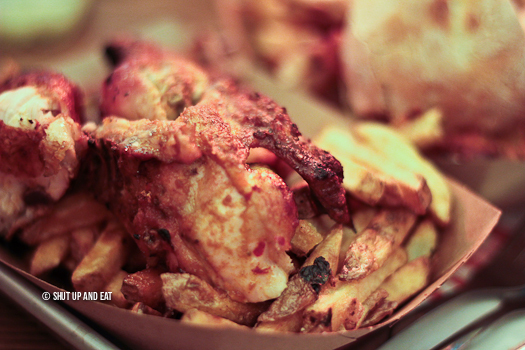 Believe me, I wanted to fall in love with the place and declare it my new favourite Portuguese chicken spot in Montreal. But unless I developed some strange taste for dry chicken, I can’t. Don’t get me wrong, the favour was nice but I couldn’t get over the texture of it. Sad. The menu listed “chicken sandwich” and “chicken roll”. We tried to get an explanation as to what the difference is. “A chicken sandwich is a chicken sandwich, and a chicken roll is a chicken roll!” Was curtly barked from behind the counter followed by a “what do you want?” We went with a chicken sandwich because an explanation isn’t offered on the menu but apparently rudeness is free. I also tried the ribs – which were offered in half and full racks. We were told that it would take a while, we were cool with that. The pleasant guy behind the counter took the ribs out of a cyrovac bag and threw them on the grill and I watched him slather them with piri piri sauce. 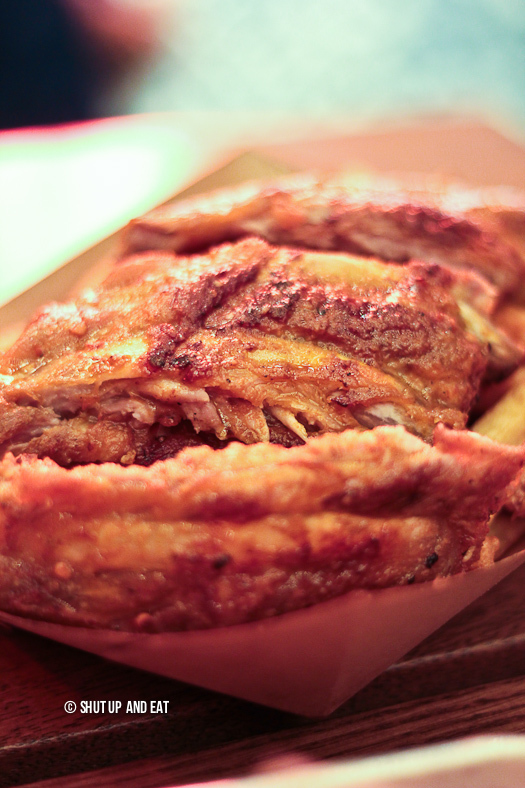 Unlike the chicken, the ribs were tender and moist, but inherently lacking in flavour – other than subtle kick of spicy sauce. Dessert was ok. Classic natas, natas do ceu, and chocolate mousse. Packaged and ready to go in the fridge next to the cash. The ordering system is a bit disorganized. You order at the counter cafeteria style. You wait for your food then slide your tray over to the cash to pay. We ordered twice. The first time we were asked to wait for our food, then pay. The second time we were told the food would be brought to us. I don’t know. With a pedigree of being from the Ferreira Café lineage, I had high hopes for this restaurant. Maybe I went on off night? Regardless, it was a Wednesday night and the place was packed and it wasn’t even game night. 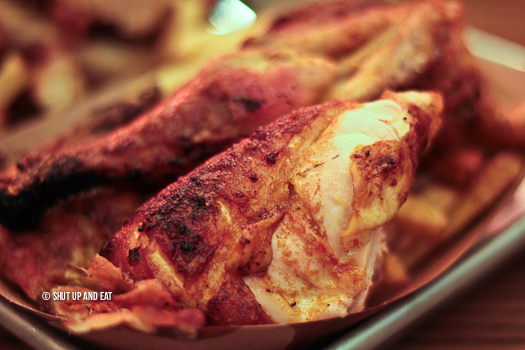 They specialize in local, 100% grain-fed Portuguese chicken – you can taste the difference. They brand themselves as “A new fast-food concept in downtown Montreal.” If the concept is lack-lustre chicken and rude service, I’ll stick to the comfort of the traditional concept, thanks.